I’ve recently returned from beautiful Tallinn where the weather was hot and the city was beautiful. I was in Estonia for two items one was the COST-ICT Annual Progress Conference and the other was the COST-ICT domain committee meeting. Before getting into the conference and meetings a little info on COST. Set up to run as an intergovernmental framework for European cooperation in science and technology, it allows for the coordination of nationally-funded research on a European level. COST does not fund research itself but provides a platform for European scientists to cooperate on a particular project and exchange expertise. These projects are called “Actions”. A slide set overview of COST can be seen at this link [pdf]. My most recent experience of a COST action has been throught the ICT Action IC0703 TMA. The purpose of TMA is to host a community of researchers around the area of data traffic monitoring and analysis particularly looking at the theory, techniques, tools and applications for future networks. I have seen this community in full effect when collecting and identifying network traffic trace collections. Also Alan Davy has benefited from participating in a short-term scientific mission (STSM) in October 2009. It was great to see Irish involvement in these Actions with a particular stand out being IC0804 well I would say this as John McLaughlin (TSSG) is participating in this energy efficiency action. Now to the second part of this meeting, the COST-ICT domain committee meeting. I’ve played many sports in my time, and I always held out the hope that one day I would get to represent my country, I should have know better. But in the area of ICT well I’ve finally managed it. I was recently nominated to represent Ireland on the COST ICT domain committee, and during the Estonian meeting that nomination was ratified. It’s a four year term and during that time I’ll get to interact more closely with a very vibrant and forward looking community. There will be responsibilities towards reviewing ongoing actions, new actions and also advising existing actions on their potential progress. This assignment (voluntary) will be a nice complement to my existing role in the TSSG. I am looking forward to this journey and it couldn’t have started in a nicer place than Tallinn, Estonia. The Perimeter project is heading into its thrid year and is really starting to build up a head a steam. The project is looking to achieve seamless mobility driven by actual user needs rather than simply business considerations. Putting the users at the centre rather than the operator enables them to finely control the way their identity, preferences and credentials are used. In order to explore this space the project recently released its view on how emergency services could be enhanced with the aid of Perimeter mobility technology. This depiction of the emergency scenario is further explained by the TSSG researchers, Frances, Eileen and Gemma on the Perimeter blog. used to deploy the PERIMETER Support Nodes and will allow for a natural maturation of the of the interconnection from a Layer 3 to a Layer 2 connection between the Waterford Institute of Technology (WIT) and the Technische Universitaet Berlin (TUB) testbeds used in PERIMETER. The slice will be used for a variety of purposes within PERIMETER including scalability, performance, network overloading and disruptive testing. From my perspective this is a significant milestone as not only does it extend our testing capabilities in the TSSG, but goes some way to proving the existence of experimentally-driven research methodology in the area of the Future Internet. In talking to Eileen, Gemma and Frances they have a more precise definition and have added this opinion to the recently publihsed paper by the FIREworks Support Action. As we drive into the third and final year of the project I’m quite sure experience will further refine this experimentally-driven research methodology. I really shouldn’t post this, but it’s my own fault, just before the World Cup started I posted my predictions and now it’s time to see how it compares to what actually happened. At the group stages when looking at the top two group qualifiers, I got Group A 100% wrong, with France crashing out, I must say Uruguay really caught me out by surprise. For Group B I was 50% correct Argentina wasn’t hard to pick out, but South Korea did well to pop out of that group. Group C well can I call it 100% right? I picked England and the USA to go through, but then the USA topped the group, so I was 100% wrong. Group D and again Germany went through as expected, but I didn’t realise Australia was in such a shambles. For Group E Holland was correct but Cameroon was a big disappointment, I should have been watching out for the coach change. Group F and on this Slovakia did come through for me, but Italy, sorry olde Italy they are in a serious reverse gear. Group G, Brazil came through but the Ivory Coast didn’t and finally Group H was the only one I got 100% correct, with Spain and Chile. So at the group stage I made 16 predictions and I had 7 correct. I might as well flicked a coin. Next to the Round of 16, I made 8 predictions and I had 5 correct, hay this is 62.5% correct not too bad right? In the Quarter Finals I had Brazil, England, Germany, and Italy for wins, but only one of these came through, Germany. In the Semi’s I had wins for Brazil and Italy, so nothing there but I did predict a loss for Germany in the Semi’s does that count? My final pick was Brazil, obviously nothing there, but overall I was delighted to see Spain win, especially given the way Holland went about their task and not withstanding I had Spain in the office sweepstakes. I had Germany for 3rd place and this was the one final prediction I got correct, well I’m counting it anyway! My flip mode prediction of South Korea V Paraguay and Mexico V Portugal semi finals with Mexico winning the final didn’t even get close to coming through. There we go, I enjoyed the World Cup well at least after the first week’s football, I thought the the first week was awful but it picked up after that. So finally a major lesson learned, don’t predict football scores, nor bet on those predictions I wouldn’t make anything from it. I must also stop playing fantasy football games, I only half watch the team line up and I always seem to be up against professionals. 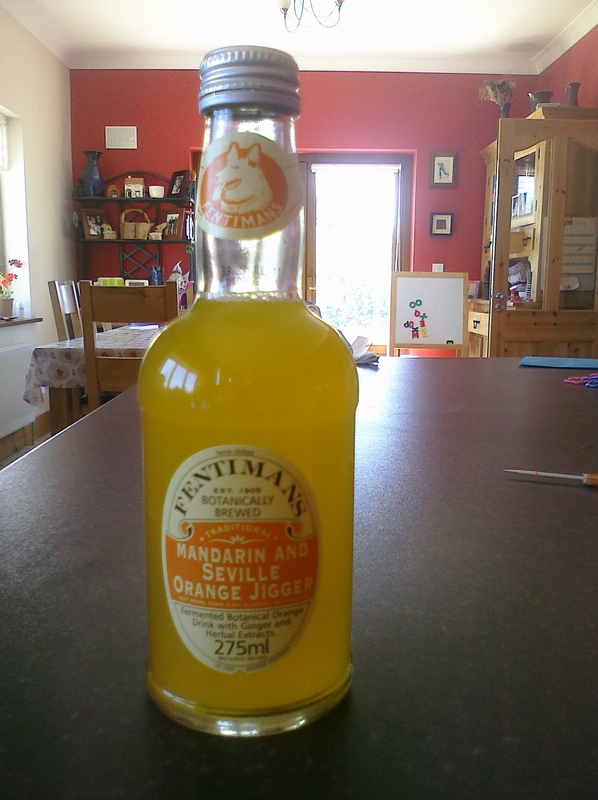 Cool Orange drink but with 0.5% alcohol could the kids get drunk? With all the hot weather in Ireland recently it’s been nice to see the shops stocked with many different options for a cool drink and on a recent trip with Mia PdL to the shops I got the famous call “I’m thristy Daddy”. When Mia says thristy she means “I’m thristy now” so lucky enough we were right beside the soft drinks fridge and so I let her choose. 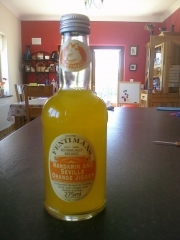 Mia picked this drink from Fentimans, an unknow brand to me, but the drink looked organey and cold so we went for it. Yeap in the small print it reads “Not more than 0.5% alcohol by volume”. 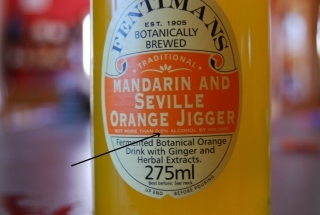 Holy crap that’s the same as a Beck non-alcoholic beer, what do I do, I have questions, is this fine for kids, should it be in reach of other soft drinks in the shop, I was and I am still totally unsure. But I’m not so sure, what do you think? When starting ICT 4WARD as a project in 2008 I must admit I never thought we’d get so far as to carry out an open source release of code. Given that 4WARD was set the task of taking a clean slate approach to designing a future Internet, and one of the TSSG’s roles in this was to help develop an integrated framework to represent, design, implement and operate network architectures, then open source was not something that immediately came to the fore. However when we went about tackling this task, Patsy grounded our thoughts in the software industry, he identified that the problem faced is not just a networking one, but a networking combined with software issue. Deploying protocols and network functions as compiled C/C++ kernel modules has the advantage of being highly efficient. Unfortunately, kernel modules that can be safely composed and reused can be quite hard to develop. Weak data typing, lack of well-defined module interfaces, possibly intricate data dependencies between modules, platform dependence, absence of fault isolation, and a development and execution environment unfamiliar to most programmers are some of the major stumbling blocks. To attempt to overcome these problems Patsy wanted us to use a modern object-orientated language in order to allow the Network Architect to use a new environment to make the first prototypes of developed network solutions. Java is platform independent and has much stronger type checking than C/C++. By design, it explicitly disallows many “dangerous” operations such as reckless memory management and pointer manipulations, which one can perform with C/C++. However in going this route clearly there are increased demands on the software product, for robustness, reliability, flexibility and ease of deployment. As these demands were growing, the complexity of the processes that the software manages is increasing along with demands for the integration of processes from different areas. As a consequence, we found the software programs becoming larger and more complex which was having a huge knock on effect when it comes to the introduction of new concepts on the networking side. Patsy spotted that Component Based Architecture (CBA) is an approach that is used to address these demands and is core to the Component Based Software Engineering (CBSE), and so he applied this approach to the Networking Stack. CBSE was used to model network nodes and topology. The transformation from the models to an execution environment based on Java and OSGi simplified the transition from high level networking concepts from a network architects perspective into the deployed software implementations. From there Patsy worked on the Component-Based Architecture network stack prototype which has implemented a software component infrastructure for flexible experimentation of network protocols. The protocol components are written in Java but conform to the requirements of the CBA architecture within the Open Services Gateway Initiative (OSGi) framework. So today it is a great pleasure to announce that we have released as open source the component based architecture network stack prototype. In the twilight of footballing career which has spanned two decades, well okay career is a very strong word to use there I know, but anyway mid summer last year I was starting to feel a little bit at a loose end when it came to some sort of pre-season training and so I started a little road running. Now it’s a nice short around the block run which I must admit for ages I didn’t know how long it was, nor how long it was taking me to complete it, so I started with a simple stop watch and the first time to pop out was 20:24. Yes that’s twenty minutes and 24 seconds, which I recorded by writing it down into a day planner for 2009. Now the runs were a little lonely so I started to bring along my iPod (Touch) for the sounds, which helped greatly, and I managed to work the time down. Then I invested in a set of JailBird Bluetooth stereo headset which gave me so much more freedom when it came to the act of running. I’ve been very happy with this purchase. However then I thought hey, their should be an app for recording running routes and times, and when I looked there are a good few available, but unfortunately all for the iPhone and not the iPod Touch. I’ve kept running infrequently over the winter and then this spring of 2010 I found that the Palm Pre is a great running mate, tunes, phone and a nice stopwatch where I could email the running time which I found to be a nicer way of recording my times. However for some months no Palm Pre app for recording the route via the GPS coordinates. And now to the point of this post, finally SmartRunner have an app for this and I used it for the first time yesterday and I must say I’m delighted with the outcome (if not so happy with the actual run itself). Now I have a clear way to record the distance and time of the run, but also some ideas about the elevation of the hills and my pace during the run. I must say I like what SmartRunner have to offer and will use to full effect over the summer pre-season training. By the way the time and distance is way off world record time by some 7 minutes, so I have some work to do!